Three years ago, I took on the project of writing a comprehensive description and exploration of John Beebe’s “eight function-attitude eight archetype” type model. Before I could even begin writing, however, I encountered a problem created by my rigid over-reliance on my most developed, conscious function-attitudes. And it wasn’t until I became aware of some alternate, unconscious perspectives that I was able to get unstuck and proceed with the work. The writing process itself had provided a vivid reminder of the powerful dynamics of depth typology that I was endeavoring to write about. The context for this story is, of course, my own typology. We know that each of the Myers-Briggs type codes is shorthand for a particular configuration of innate preferences for certain ways of filtering information and making choices (the “function-attitudes”). And according to Beebe, each function-attitude tends to play a specific kind of role in our lives, depending on its place in our particular personality framework. In my INTJ typology, for example, my “dominant,” most favored function-attitude, introverted intuition (Ni), with its attention to hidden patterns and meaning, tends to lead the charge, playing the Heroic role. When it comes to taking care of others and supporting my own heroic vision, the Parent role, I rely most upon the linear, analytical approach of my “auxiliary” function-attitude, extraverted thinking (Te). My “tertiary” introverted feeling (Fi), anchored in my core values, is expressed through the Eternal Child in me and lobbies for an attitude of irresponsible playfulness that seems essential for releasing creativity. And my concrete, in-the-moment, sensual, extraverted sensing (Se) “inferior” is the balancing, contrapuntal Yin to my dominant Ni Yang. I envisioned a book that would be broad enough in scope to include a multitude of related threads and do justice to the awesome complexity and mystery of the human psyche. What made the project so intimidating for me was my determination to tackle this labyrinth of ideas in a way that is succinct, simple, and clear enough that virtually anyone could understand and learn to use the model. I was convinced that this could be accomplished because Jung’s model of psychological type provides a framework that is, at its core, inherently simple, logical, intuitive, and demonstrable. So I felt certain that if I could tackle this complicated topic in just the right way, I could reveal that inherent clarity without losing the rich nuances. But at first, I was at a loss as to how to even approach this difficult task. As usual for me in such situations of helpless-feeling confusion, my auxiliary extraverted thinking kicked in with the conviction that the answer was to have a clear organizational plan up front. I thought that first I had to figure out what to emphasize, what to leave out, the most effective order in which to present the material, where to start, etc. But no such framework came to me. My only other option seemed to be to just plunge into the writing without an organizational game plan. But I felt that I could only dare this approach if I had some powerful “guiding principle” in mind—a fundamental criterion that would guide me as I went along (another Thinking tactic). I couldn’t find this either. I was stuck. Just as I arrived at the point where I knew I absolutely had to start writing, though I still didn’t know how to begin, I had a dream that felt particularly important. As I chewed on its cryptic messages over the following days, that dream seemed increasingly relevant to my quandary. Like many dreams, this one speaks on many levels simultaneously, but two interwoven interpretations seemed particularly obvious and relevant to my creative impasse. Obviously, I was the one “lost in the woods,” but I was also in the rescue party—both problem and solution. 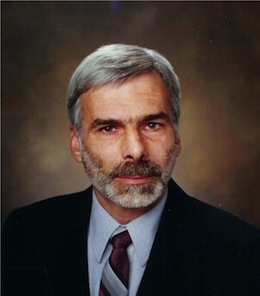 By the end of the dream, I had a sense of the older man as a representation of a fatherly C. G. Jung, and in retrospect, I saw my other companion as portraying John Beebe in what felt like an older-brother relationship to me. In reality, I certainly don’t delude myself that I am even close to either of these men in intellect, insight, or importance. But in the dream, it felt to me like we were peers—three grown men with a commonality of purpose and mutual respect for each other’s authentic self. This aspect of the dream felt like a validation, telling me that what I have to say—my insight, feelings, and experience—is important, too. In this sense, the “middle part” of this triad was me. I had been so focused on trying to better understand and interpret Jung’s and Beebe’s concepts that I had forgotten the key elements that give energy and authenticity to any writing: the author’s own passion and unique perspective. This dream can also be understood in terms of the typological quandary described earlier. In this framework, the “middle part” would be my neglected introverted feeling Eternal Child, sandwiched between my relatively conscious dominant/auxiliary ego-team and my relatively unconscious inferior. This insight encouraged me to take a break from obsessing about the book—to make time for play, for activities that attracted me despite not being “productive.” Alerted by the dream, I allowed myself to take a little vacation from my single-mindedness and felt a shift in attitude and awareness almost immediately. My linear, straight-ahead, tunnel-vision mindset relaxed, and I began to notice and embrace information, insights, and opportunities that came along unexpectedly and felt important despite having no logical connection with the task at hand. I was able to “feel my way” through the problem; just “thinking it through” had not been enough. When we pay attention, the unconscious provides what the conscious mind can not. In my case, I discovered a spiritual compass. Reconnected with my passion for the subject and fueled by my desire to help others, I found a guiding light for writing the book rather than the “guiding organizing principle” that my extraverted thinking had assumed I needed. I also found a way to start writing: by simply relating this story. Learning to respect and pay attention to the often cryptic other truths within us can move us forward and dramatically change our lives for the better. Depth typology takes Jung’s brilliant framework beyond his caricatures of personalities dominated by the eight different types of consciousness and beyond the most prominent “preferences” and “gifts” emphasized by Isabel Myers. It enables a fuller understanding of and appreciation for the typological elements and dynamics at work throughout the entire psyche. In particular, it brings the emotional energies and undeveloped perspectives of the unconscious side of personality into the picture. Psychological type thus now encompasses the entire territory that Jung called the “Self”—that holistic psychic potential within us that is more authentically grounded in the realities of the human condition than the tunnel-vision of our self-conscious, who-we-think-we-are Ego. And since our current, “postmodern” society has come to disregard the unconscious almost entirely, this addition to the type model is, in my opinion, enormously significant. * Excerpted from the Preface to Mark’s recently published book, Depth Typology: C. G. Jung, Isabel Myers, John Beebe and The Guide Map to Becoming Who We Are. 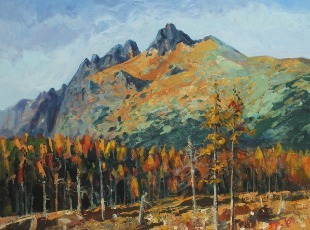 Rudolf Rabatin, “Jeseň vo Velickej doline” (“Autumn in Velická Valley”), (2008). Published with permission from the artist under the Creative Commons Attribution-Share Alike 3.0 license. Great story, Mark! I (also preferring INTJ processes) get great satisfaction, too, when I’m able to grasp the meaning of those unconscious messages, poking their heads up from the ground in abundance, but just out of reach of my active, conscious mind. It hadn’t occurred to me before to apply this somewhat rare insight to my cognitive functioning as well, but I can believe it could be every bit as enlightening, if not more so. I’ll give it a go next chance I get. Thanks! Such a tremendous amount of our psychic ‘action’ takes place at that point of interface between our conscious awareness and our unconscious content and processes! So to me, Beebe’s greatest gift has been to enable us to use the framework and insights of psychological type as we seek to consciously understand that ‘other side’ of ourselves where so much potential for growth and creativity, as well as limitation and dysfunction, lies. Whether in dream work, active imagination, or some other window for looking into our ‘depths,’ we now have another useful tool for the depth psychology tool belt. You may also be interested to read an example of how an analyst, Chris Beach, uses ‘depth typology’ in his work with patients (PTD, Issue #21, Oct. 2014).